Waverley Council is committed to improving safety and amenity for residents and visitors to Waverley. Council’s People, Movement and Places: Where we go and how we get there identifies pedestrians as a priority in Waverley’s transport hierarchy. 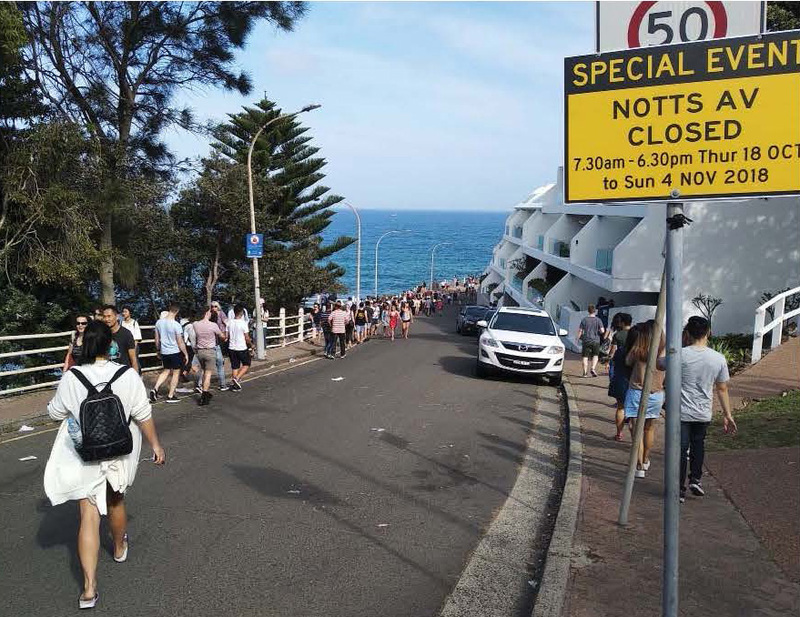 We know over one million people use the Coastal Walk each year, and Notts Avenue is heavily used by pedestrians for this reason. With this in mind, Council has since identified Notts Avenue as a priority location for an upgrade to improve resident and visitors experience, with the aim to improve safety for all users of this space. Thank you to all who participated in our community consultation. 94% of you said you believe safety is important for users of Notts Avenue. You said you liked the views, the coastal walk and Icebergs access but you also thought there could be some improvements. These included improvements to safety and amenity, traffic volumes and speed, road surface and parking, shaded spaces, lighting and wayfinding signage. We have heard you and all of these suggestions will be included in a new, beautiful and safe design for Notts Av. Watch this space! To keep up to date with the lastest in Notts av and general consultations, please visit haveyoursay.waverley.nsw.gov.au. Construction is aimed to begin in April 2020. Construction will be completed in stages to minimise inconvenience to users. If you have any queries relating to the project, please don’t hesitate to contact Jordan Laverty, Project Manager via email at jordan.laverty@waverley.nsw.gov.au.